Positive (42) - 83% of the 42 user reviews for this game are positive. 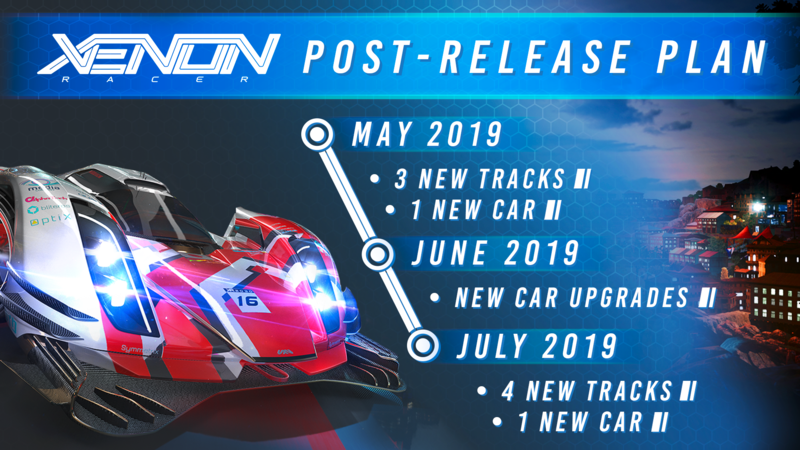 Free content updates coming up for Xenon Racer! First off, thank you all for playing Xenon Racer! We really appreciate all your feedback, remarks and comments, so today we're announcing our post-release plans for the game! Of course, this doesn't mean we're not also working on improving the game, so keep your eyes out for those patches. Details on the exact contents of the content updates will follow soon, so I'll see you again then! Published by SOEDESCO®, Koddeweg 13, 3194 DH, Hoogvliet. All rights reserved. 3DClouds S.r.l. All rights reserved. Any copy or illegal distribution of this product in digital or physical version will be persecuted. 54 Curators have reviewed this product. Click here to see them.